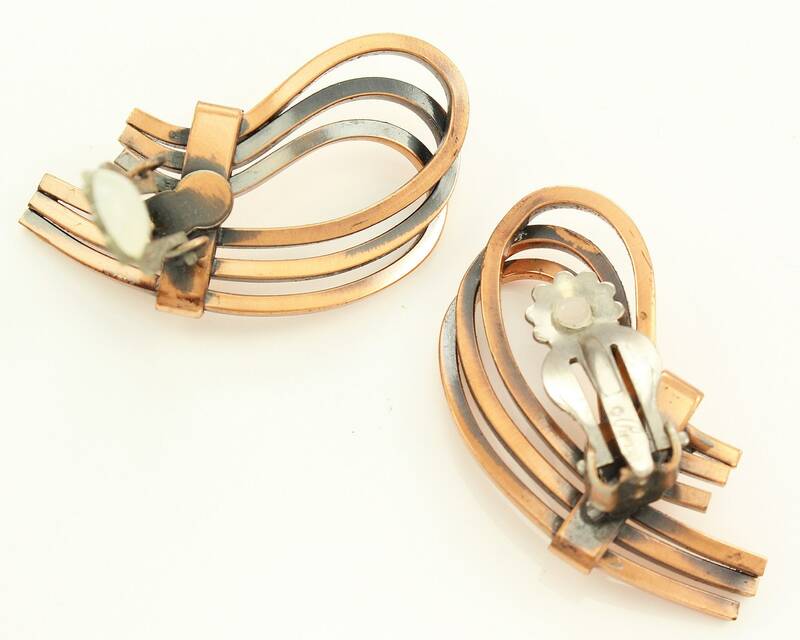 Vintage Renoir Copper Twist Modernist Earrings. 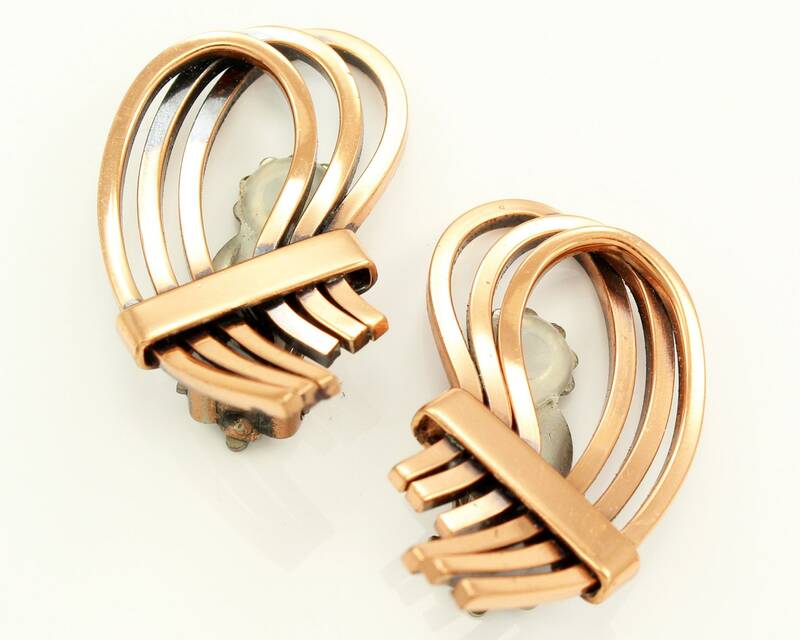 These classic mid-century clip-on earrings are a swirl of lustrous copper that will add a bold and warm touch to any outfit. They measure approximately 7/8" X 1 1/2" and are finished with silver tone clip backs stamped Renoir and have the original plastic comfort inserts. Renoir Jewelry was founded by Jerry Fels in Los Angeles in 1946. Fels studied at both The Arts Student League and The National Academy of design before serving as a fighter pilot in WWII. His jewelry was bold and modern in style, perfectly reflecting the modernism that was sweeping the country. 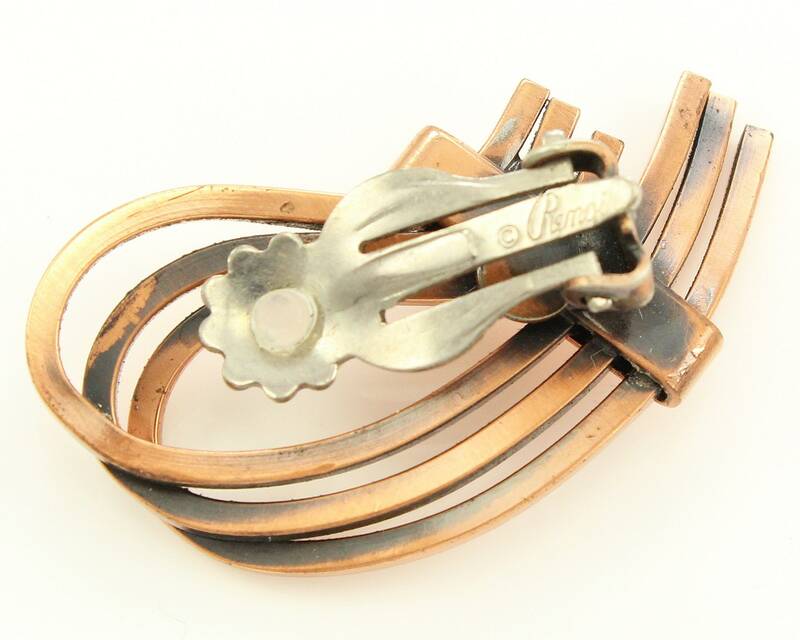 He also created Matisse Jewelry, which added enamel elements to the copper that distinguished Renoir pieces. In very good vintage condition, with no wear to the finish or other damage noted. CONDITION: In very good vintage condition, with original finish and comfort inserts. No damage noted. MEASUREMENTS: The earrings measure approximately 7/8 inch by 1 1/2 inch.